Similar in size and shape to a tapestry needle, but with a sharp point. 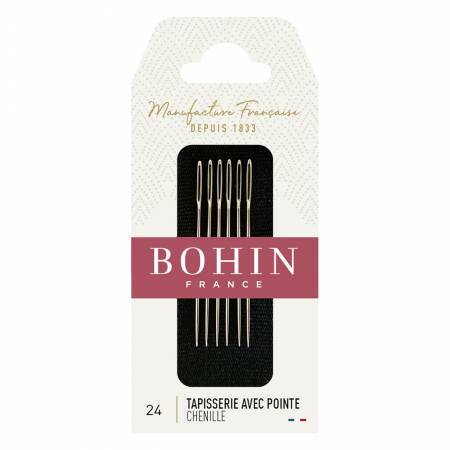 Slightly shorter in length (only 1¼" long) than an embroidery needle, with an eye longer and wider. Used for embroidery and crewel work. Made of premium grade nickel plated steel. 6 needles per card.